In going to a registered practitioner using an electrodermal scanner to regain health, our family has come to better understand frequency in the body. This author hopes to encourage further investigation by readers. In your journey of discovery, the story of Royal Rife is important, as you will see. What Rife proved is that every health disorder has a frequency, which in turn responds (resonates) to a specific (optimal) frequency for its dissolving/healing in the body. Everything on this planet, including animals, plants, and water are made of atoms which produce, emit, and receive energy which operates at a specific frequency. Everything – all our tissues, cells, organs, emotions and thought patterns – have their own unique electromagnetic fields, as do viruses, bacteria and fungi. Electrical conduction allows the movement of electrically charged particles within the body and that flow produces our life force! Life itself is inextricably interwoven with geometric forms, from the helical spirals of DNA, to snowflakes, pine cones, the nautilus shell, and to the angles of atomic bonds in the molecules of amino acids. This includes the galaxy we spiral within to the first few cells of an organism which assume vesicle, tetrahedral and star (double) tetrahedral forms prior to diversification of tissues for different physiological functions. We tend to reduce our bodies’ anatomy down to a simplified version that consists of only flesh and blood. This limited understanding of the intangible has led us to ignore therapies and practices which have the capability to heal our bodies from disease by reading and correcting the electrical energy or frequencies. 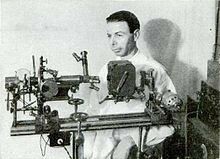 In the late 1920’s, Dr. Royal Raymond Rife invented the Rife Machine – one of the first frequency generators. According to Dr. Rife, every disease has a frequency. He found that certain frequencies can prevent the development of disease and that others would destroy it. Why isn’t the Rife machine used as a treatment today? Dr. Rife’s machine was tested with cancer patients at Pasadena County Hospital. The doctors put patients under treatment for 90 days and found that 86.5% of the patients had been completely cured of cancer. The remaining patients where further tested and underwent additional treatment; they too were cured. In other words, an astounding 100% of patients included in the program where cured from cancer. According to media files and documents, the Rife’s machine was a total hit during the time as it produced such impressive cancer cure rates. These breakthroughs were well documented in his time by various newspapers including the LA Times and San Diego Tribune and the Smithsonian Institute. Growing pharmaceutical companies tried to buy the technology to conduct more research on his equipment. But Dr. Rife did not want to sell it, and his work was destroyed because of it. Medical science has been sitting on this life saving technology for decades which amounts to fraud. Rife’s technology had the potential to eliminate the need for vaccines. The Rife Machine would most certainly have cut into the pharmaceutical corporation’s profits. Unless they would have a convicting, come-to-Jesus moment, we won’t be seeing drug-free, cancer-killing technology released any time soon. Similar to Nikola Tesla’s fate, Dr. Rife’s office was broken into and all of his paper work and research was stolen. The machine was also destroyed. Nevertheless, his work influenced researchers to study the body’s various frequencies and how they can be used to treat disease. According to The Body Electric, “Taino’s machine was certified as accurate, and is in use in the agricultural field today. The application of using frequencies to heal the body had already been suggested by the American inventor Nikola Tesla (1856 – 1943) who pioneered electrical technology. Rife conducted dozens of research projects using frequency waves and wrote thousands of pages on the subject during his lifetime. He is most famous, however, for a project was where he injected cancer into 400 rats. He then created an “electromagnetic energy field” of a specific frequency which he immersed the rats in. Unbelievably, after a set amount of time in that “field,” the cancers in the rats began to diminish. “It’s now known by this posh name of ‘irreversible electroporation’,” Scott-Mumby said. “Scientists are studying this around the globe and they’re discovering what Rife discovered, which is if you zap some cells with certain frequencies it doesn’t do them any good at all. ‘Electroporation’ means they burst apart by electricity and they die, and it’s irreversible. Effectively, that’s what Rife was doing, he invented the concept of the irreversible electroporation. Now, none of these scientists would dream of calling it a Rife machine. “The FDA has got a bee in its bonnet about Rife machines, and it’s rather unjust actually because the original Rife machine was OK.” ~Prof. Keith Scott-Mumby, U.K.
For examples: Pulsed electric fields for cardiac ablation and beyond: A state of the art review and Range of electrical frequencies that help heal chronic wounds tested by researchers. Caveat: Just as you would want to exercise discernment in choosing a mainstream doctor, so look carefully and ask questions as you choose a practitioner for an alternative modality or treatment. Update: One company that has been committed to keeping Royal Rife’s invention alive is Frequency Technologies. Located in Alabama, this company makes this technology available to the average American who wants to take control of their own health. Using the machine is as simple as turning it on, choosing the program you want to run, and sitting close to the light stand which uses light pulses to send out the frequencies. Beam Ray machines target a host of ailments with programs already written into the machine for easy use, including cancer and Lyme. You will need some knowledge of which programs to use for your condition so I recommend using a practitioner who can help you select the settings you need for your condition. There is also a Facebook group for Frequency Technologies where Beam Ray users can ask questions and learn from others. You can also contact them at ftbeamray@gmail.com or call them at 203-543-6456 if you are interested in purchasing your own machine. They may also be able to recommend someone in your area that is already using this technology and can help you if you have questions. Can Frequencies Kill Cancer Cells? 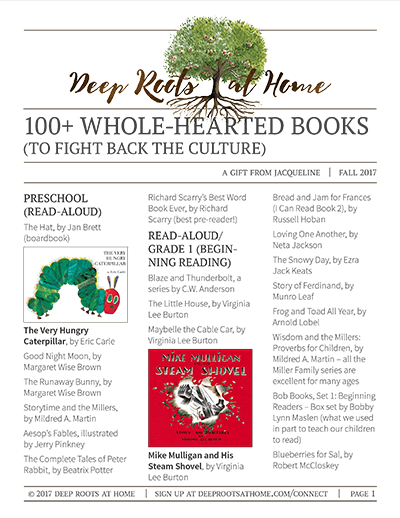 I include excerpts of Tina Schomburg’s article with her written permission. « Daily Low Dose Aspirin Protocol In Question: To Take or Not to Take? This is fascinating. Homeopathic medicines also work on the energetic level. When the correct homeopathic medicine is chosen, the remedy’s frequency triggers our body’s natural healing response. I asked my naturopathic doctor how homeopathy worked and she told me I’d need to study quantum physics in order to begin to understand. All this info must also relate to why our bodies are harmed by certain electromagnetic frequencies that are so common around us – microwaves, wireless technology, the new 5G internet, etc. I’ve even heard of people having chronic health problems just because they live close to power lines. What you say is so true and we have experienced it, Katie. We have used (with the help of an electrodermal scanner) heal so many issues in our family and have sent many other people/families with the same results. I hope that the word will get around, but it is not widely accepted by the power brokers..